Some doctors suggest that the modern definition of 'death' is wrong -- and that the mistake is costing lives. WHEN IS A person dead -- or dead enough? The question has long influenced decisions about when it's appropriate to end medical treatment for people who are hopelessly ill. However, a quieter debate has simmered for years about how the concept of death informs the practice of organ transplantation. Transplant surgeons rely on strict definitions of death to reassure would-be donors. Wary of the macabre suggestion that they are willing to exploit the dying for their organs, surgeons abide by a code known as the "dead donor rule," which forbids removing body parts from the living. Yet a few outspoken medical ethicists say the dead donor rule is broken all the time -- and, perhaps even more surprising, that the rule itself should be abandoned. The dead donor rule, they argue, prevents some terminally ill patients from donating organs, even if they want to. And, they say, it has become clear that doctors will never be able to devise a coherent definition of death. Even the concept of "brain death," the diagnosis of most deceased organ donors, falls apart on closer examination. Why not, they ask, simply admit that some people donate vital organs when they are, in some important way, still alive? "It's completely ethical to remove organs from patients we diagnose as brain dead," says Dr. Robert Truog, director of clinical ethics at Harvard Medical School and a physician at Children's Hospital Boston. "It's just ethical for reasons other than that we think they're dead, because I don't think they are." Truog is one of a handful of vocal critics who believe the medical community is misleading the public -- and deluding itself -- with an arbitrary definition of death. The debate, which is being fought largely in academic journals, has important implications for the modern enterprise of transplantation, which prolonged the life of more than 28,000 Americans last year. Truog and other critics believe that changing the rules -- and the bright-line concept of death that underlies them -- could mean saving more of the 6,500 Americans who die every year waiting for an organ. Although Truog says many doctors have problems with the concept of brain death, it is an established medical and legal standard. And its numerous defenders worry that allowing organs to be taken from people who haven't completely died, or even discussing it, would greatly compromise the public's confidence in organ transplantation. "There is no controversy about brain death," says Dr. Eelco Wijdicks, a Mayo Clinic neurologist and a leading authority on the topic. Wijdicks says the concept is widely embraced by neurosurgeons and neurologists. Claims by "brain death rejecters" that the concept is flawed, he says, don't jibe with his clinical experience. "What they describe is not what we see." The current debate about transplantation ethics has been intensified by the growing use of a technique for obtaining organs called donation after cardiac death (DCD), in which surgeons start harvesting soon after a patient's heart stops -- too soon for some people, who worry that potential donors may gain the impression that surgeons are overly eager to take their flesh. That impression was reinforced by recent news stories about an attempted DCD procedure at a hospital in California; a prosecutor there charges that a surgeon ordered nurses to give morphine and other drugs to hasten a patient's death. This debate exposes a jarring collision: On the one hand, there is the view that life and death are clear categories; on the other, there is the view that death, like life, is a process. Common sense -- and the transplant community -- suggest that death is a clear category. Truog and other critics suggest that this is to ignore reality. "They think, 'We can't remove these organs unless we decide that you're dead,"' says Truog, "so the project becomes gerrymandering the criteria we use to call people dead." Modern medical advances have blurred the line between life and death. In the past, most people, including doctors, thought death occurred when the heart stopped and blood ceased to flow. (At least in a biological sense; most major religions define death as the departure of the soul from the body.) However, by the mid-20th century, new medical devices such as the mechanical ventilator allowed doctors to keep the hearts and lungs working in severely brain-damaged people who in an earlier era would have died. In 1959, two French physicians coined the phrase coma dépassé, or "irreversible coma," to describe these patients' ambiguous condition. Doctors in the United States eventually came up with another name: brain death. In 1968, a group of physicians, ethicists, and other experts at Harvard Medical School published guidelines for diagnosing what they called "a new criterion of death." Because of this influential report, a patient can be declared dead in the United States, and most countries, if their blood circulation and breathing have permanently stopped or they have suffered total and irreversible brain damage. 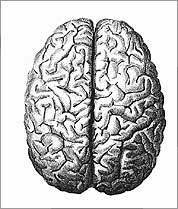 Most organs donated from the deceased come from people who have been diagnosed as brain dead. Organs remain viable for only about an hour or two after a person's last heartbeat. Brain dead patients are ideal candidates for organ donation, then, because they are kept on ventilators, which means their heart and lungs continue to work, ensuring that a steady flow of oxygen-rich blood keeps their organs healthy. Surgeons remove the donor's organs, then shut off the ventilator. The patient's heart eventually stops. Yet a small but vocal minority in the medical community has always insisted that some brain dead patients may not be dead. For instance, one study documented some kind of brain activity in up to 20 percent of people declared brain dead, suggesting to some critics that doctors sometimes misdiagnose the condition. Although some neurologists contend the claim, University of Wisconsin medical ethicist Dr. Norman Fost points to research showing that many "brain dead" patients have a functioning hypothalamus, a structure at the base of the brain that governs certain bodily functions, such as blood pressure and appetite. "We have been taking organs out of those patients by the thousands," says Fost, "and they are not brain dead." Others point to the unsettling fact that the brain dead look alive -- their hearts beat, lungs function (albeit with the aid of a respirator), and skin retains a pink hue. Brain dead women have even given birth. "There is nobody in the world of philosophy and bioethics who thinks brain death is a coherent concept," says Truog. It's important to point out that the dead donor rule does not say a patient must be brain dead -- just dead. To help meet the urgent need for donors, many transplant centers now recover organs from people who have suffered cardiac death using the DCD procedure. In 1993 there were 43 DCD procedures in the United States; there were 670 in the first nine months of 2007. The typical DCD donor is a patient who is severely brain damaged, but not brain dead, and surviving on a ventilator. With his or her family's consent, doctors remove the ventilator and wait for the heart to stop. If that occurs within an hour or two (hospitals use different standards), the patient's organs are still viable. Death is declared and surgery starts quickly, within two minutes at some transplant centers. It's safe to assume a person is dead two minutes after the last heartbeat, says Dr. Michael DeVita, a University of Pittsburgh transplant surgeon and an authority on DCD. That's because there are no recorded cases of hearts spontaneously restarting after 65 seconds, he says. "Death can be determined when circulation will not resume on its own." Skeptics point out, though, that countless people whose hearts have stopped have been resuscitated with defibrillators past the two-minute mark. Were they dead? Some skeptics think the definition of cardiac death is no more satisfying than brain death for determining when life ends. "The DCD protocol pretends that patients are dead at the time organs are taken out," says Fost. "They're not." Yet Fost does not oppose the DCD procedure. He believes that consenting people should be able to stipulate that their organs can be removed before they die, as long as they are terminally ill. This simply respects the individual's right to make decisions about their own medical care. If that includes having your pancreas plucked out before dying, so be it. The idea doesn't sound so nutty to some people, he insists. He cites a 2004 survey by Case Western Reserve University ethicist Stuart Youngner and colleagues of 1,300 adults in Ohio, in which almost half of the respondents said they would support taking organs from someone who was alive but in an irreversible coma. Many doctors say that eliminating the dead donor rule will likely never happen, a notion its opponents acknowledge. Even if the public accepted the idea, lawmakers would never support statutes protecting doctors from charges of homicide -- necessary, since taking organs from the dying would obviously be the cause of death if a heart was removed (a "lethal donation," in Truog's words). The dead donor rule helps to uphold public confidence in organ transplantation, which is "somewhat shaky," says Dr. James L. Bernat, a Dartmouth Medical School neurologist. And breaking the taboo, he worries, could eventually lead ethically challenged doctors to take organs without patient consent. Another opponent of abandoning the dead donor rule, Georgetown University ethicist Robert Veatch, proposes an alternative that would create a new source of organs: Give people the choice of being declared dead if they enter a persistent vegetative state or otherwise suffer loss of consciousness forever, but still have some brain function. "There would be nothing lost and a lot gained -- respect for individual judgment," says Veatch. Yet this debate will likely be moot in 20 years or so, says Truog. By then, he predicts, genetically modified animals -- probably pigs -- will provide all the organs we need, eliminating the need for human harvesting. If that happens, perhaps the need to define death in clinical terms will seem that much less urgent, while references to taking organs from humans will likely disappear from medical texts. "The concept," Truog wrote recently, "will have died a natural death of its own." Timothy Gower is a freelance writer and co-author of "The Sugar Fix," to be published by Rodale next month. He lives in Harwich.